Vaughan Koster’s Cheveley Stud has produced numerous high class performers over the years. Among Cheveley’s honour roll are champions Bela-Bela and Legislate, as well as this season’s star three-year-old filly Snowdance. The latter, a winner of four of seven outings, won both the G1 WSB Cape Fillies Guineas and G1 Klawervlei Majorca Stakes this season and is the leading contender for Saturday’s G1 Jonsson Workwear Garden Province Stakes. 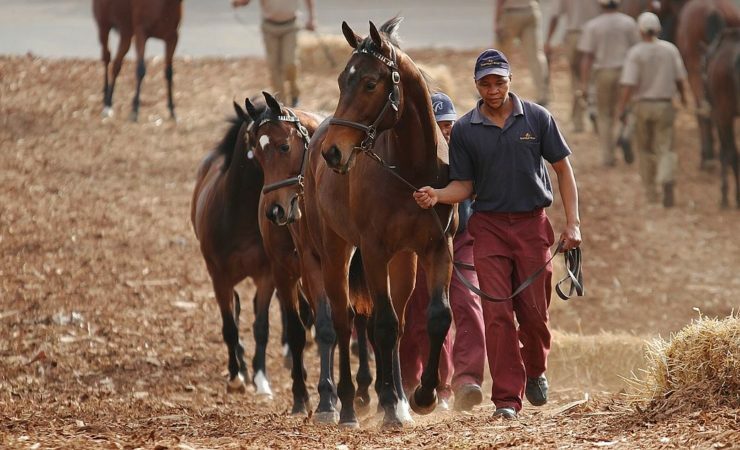 Cheveley Stud will be offering five high class yearlings at this week’s KZN Yearling Sale, set to take place at the Sibaya Entertainment World on July 5th and 6th. Leading sire Var is represented in the Cheveley draft by an unnamed bay half-brother (Lot 192) to G1 Champions Cup winner Ivory Trail. Also a half-brother to the dam of this season’s smart 2yo Urban Oasis, this Var hails from one of the best families in the stud book, with his relatives including Irish classic winners Grey Swallow, Spinning World and Romanised, as well as the great stallion Redoute’s Choice. The latter is the sire of Cheveley’s multiple G1 winning resident stallion Wylie Hall, who is himself represented in this draft by two fillies from his first crop. His daughter out of G1 performer Time Control (Lot 53) is a half-sister to former Zimbabwean sensation Control Freak and from the same family as current high class racemares Star Express and Star Burst Galaxy, while the Wylie Hall filly out of Dieu Te Garde (Lot 149) is out of a half-sister to Winter Oaks winner Rush For John, from the family of multiple G1 winning champion filly Vesta. Boom sire Gimmethegreenlight, whose early crops have already produced the G1 winners Gunner and Surcharge, has a filly (Lot 239) who is a half-sister to no fewer than six winners and who is out of a stakes placed half-sister to Summer Cup winning filly Flirtation. Prominent first crop sire Master Of My Fate, whose first 2yos this season include high class stakes winner Twist Of Fate, has a beautifully bred filly (Lot 261), whose dam is an own sister to the once beaten Equus Champion and dual G1 winner Argonaut and half-sister to SA Fillies Guineas winner Finest View.